Drop Length: 25" What is drop length? 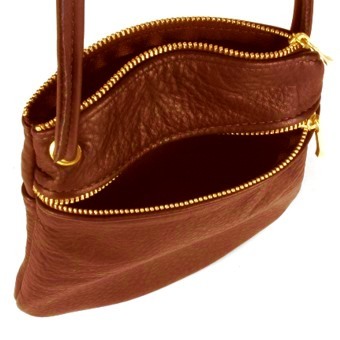 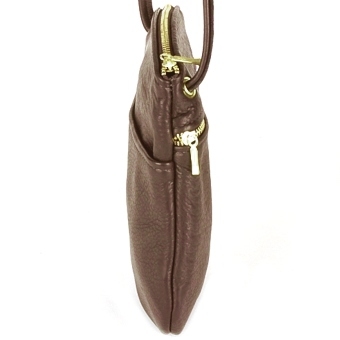 This is the Anne handbag, made of soft fine grain high quality leather. 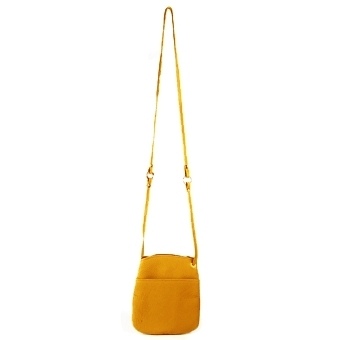 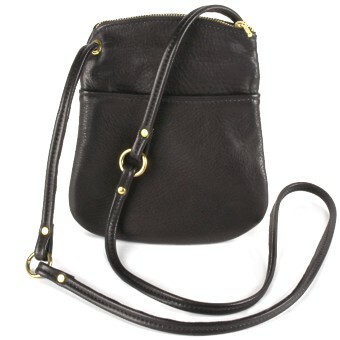 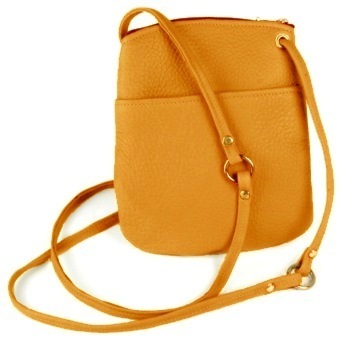 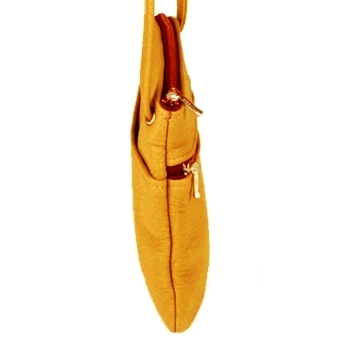 It is a fun casual bag that can be worn across the body or over a shoulder. 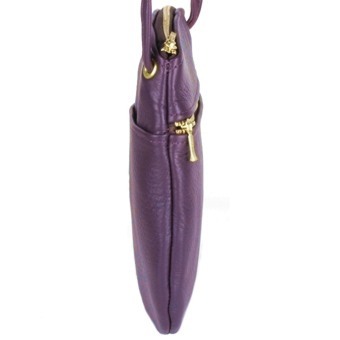 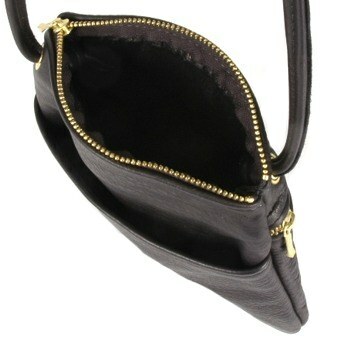 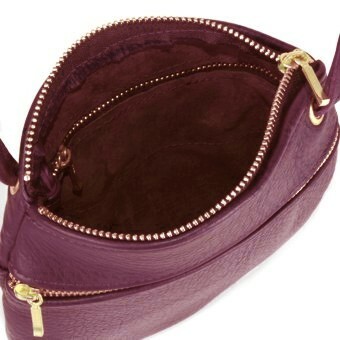 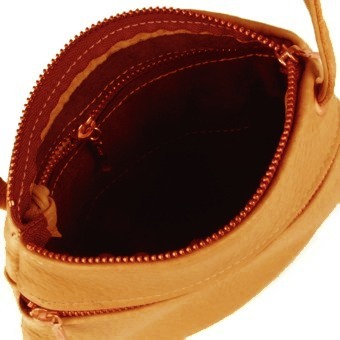 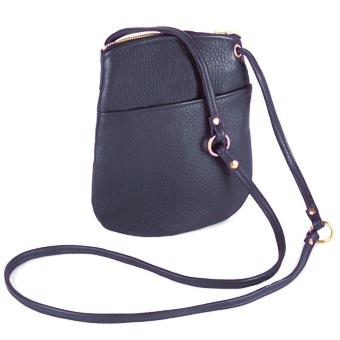 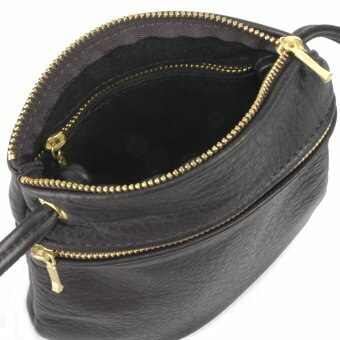 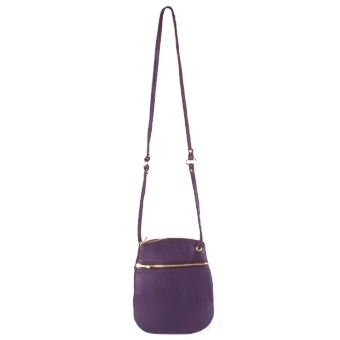 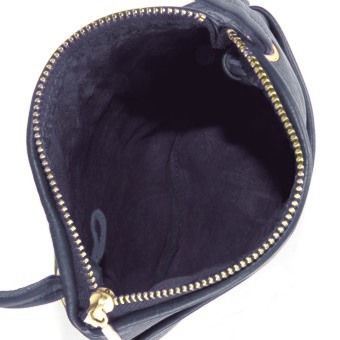 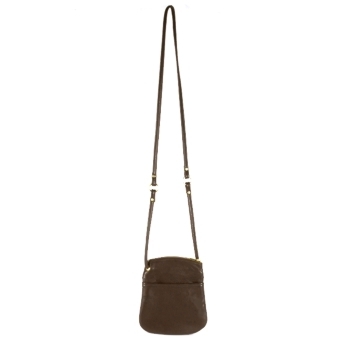 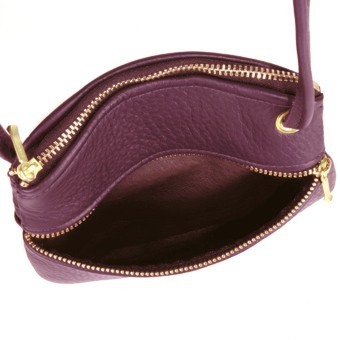 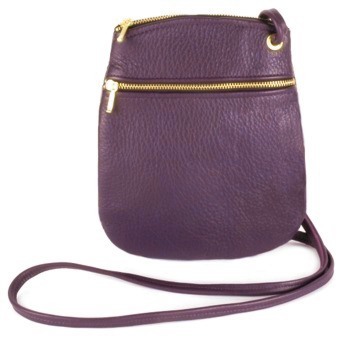 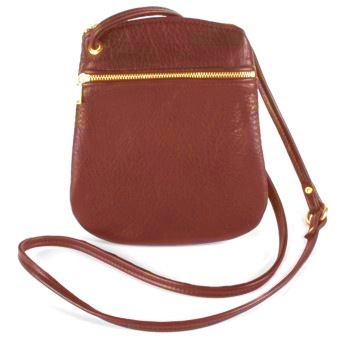 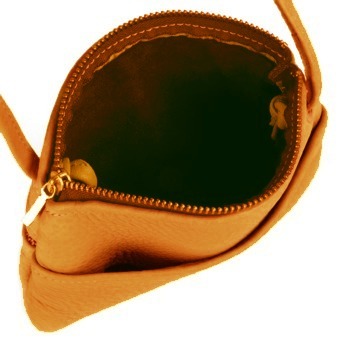 The Anne features a solid brass zipper opening to a deep pouch. 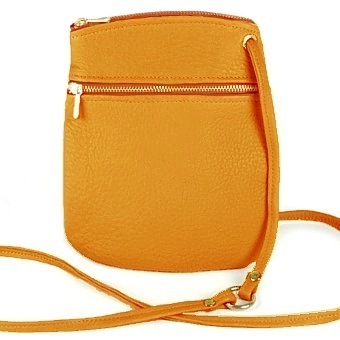 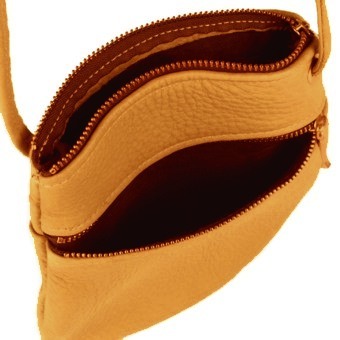 It has a small inside zipper pocket, 2 1/2" x 4", great for small easily lost items. The exterior has one zippered pocket 6 1/2" x 6" (zipper opening is 5 1/4" long) and one slide in pocket perfect for a cell phone or sun glasses. 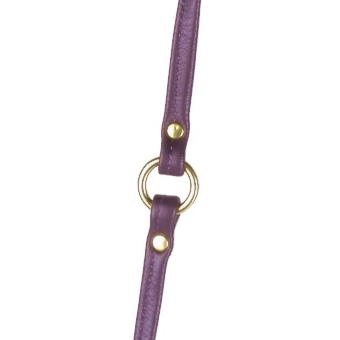 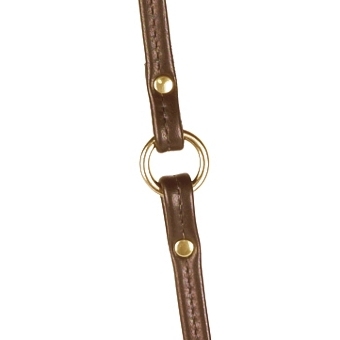 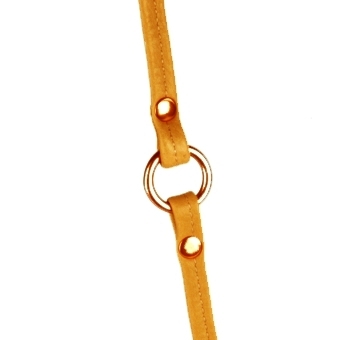 Solid brass O rings decorate the strap which is fastened by knots that will allow the strap length to be shortened.